Originally maraschino cherries were marasca cherries (originated in Croatia) preserved in Italy's maraschino liqueurs, which is distilled from the same cherry. 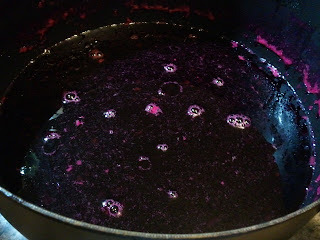 In their modern form, the cherries are first preserved in a brine solution usually containing sulfur dioxide and calcium chloride to bleach the fruit, then soaked in a suspension of food coloring, sugar syrup, and other ingredients. As I read this recipe I was really unsure of the almond extract. I had it, I just didn't know if I wanted to use it. I'm not a big fan. It is NOT optional. It is what makes this recipe complete. You'll see what I mean when you add it at the end. 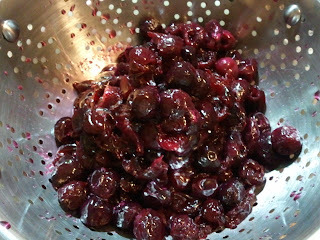 Soak the pitted cherries for 24 hours in the brine. 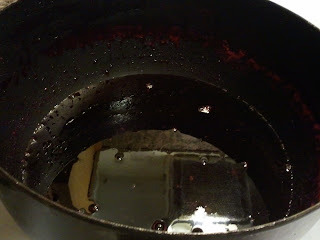 After 24 hours drain the cherries and rinse in cold water. 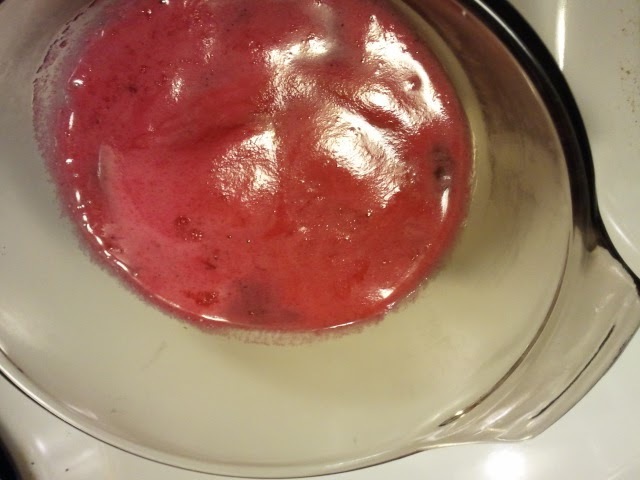 Combine cherries, water, sugar, lemon juice and red food coloring if you are using it. 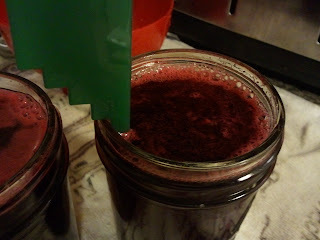 Drain juice from cherries. Reserve liquid for next step. Skim off foam. There isn't much but you don't want it floating in your pretty cherries. Add almond extract and cherries. 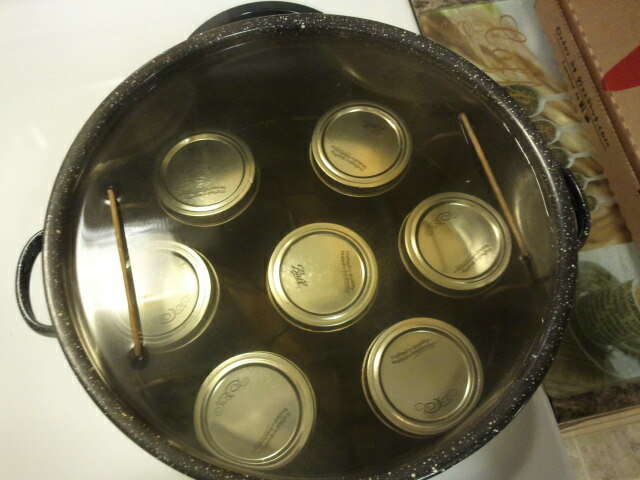 Pack in hot sterilized jars leaving 1/2 inch headspace and seal. After tasting and seeing there are a couple things I will do different next time. One, omit food coloring. There is no need for it with dark cherries. 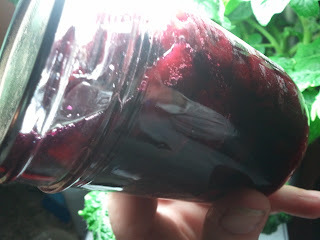 I might use it if using light colored cherries. 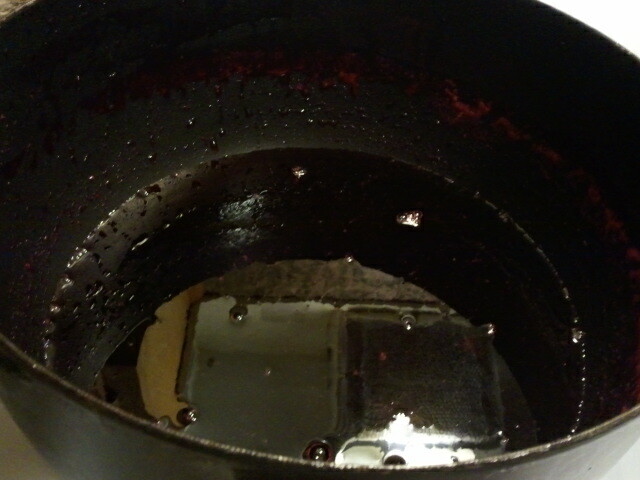 Two, I will not boil the cherries with the syrup. 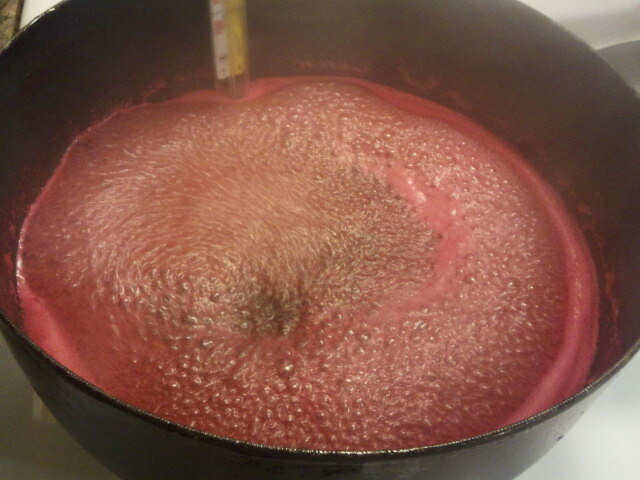 I will boil the syrup then pour over the cherries. 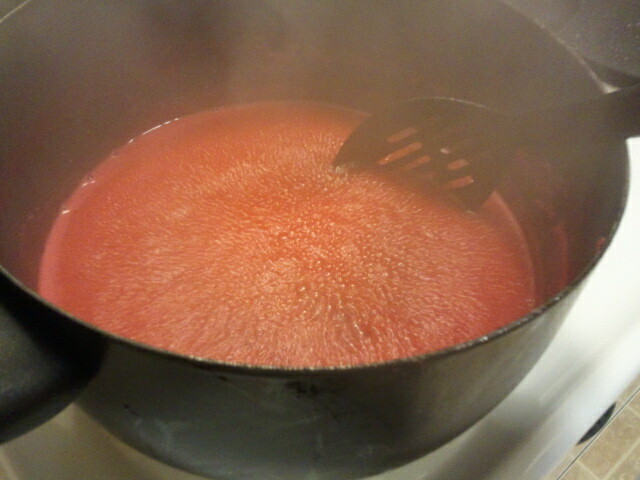 I think the boiling step makes them too mushy. 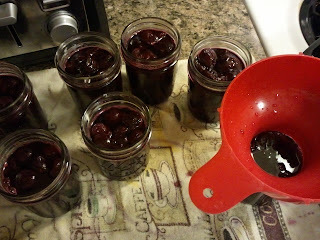 After I got all the cherries into my half pint jars I had quite a bit of syrup left. I just knew there had to me a way to use it all up. (I hate waste.) 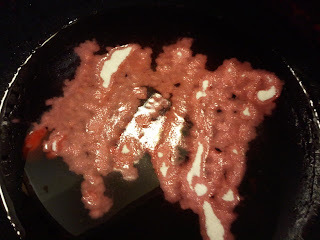 I found a recipe for Maraschino Jelly. How great is that? And there is nothing to it since all the work is almost done. I let the syrup cool while the cherries were processing. 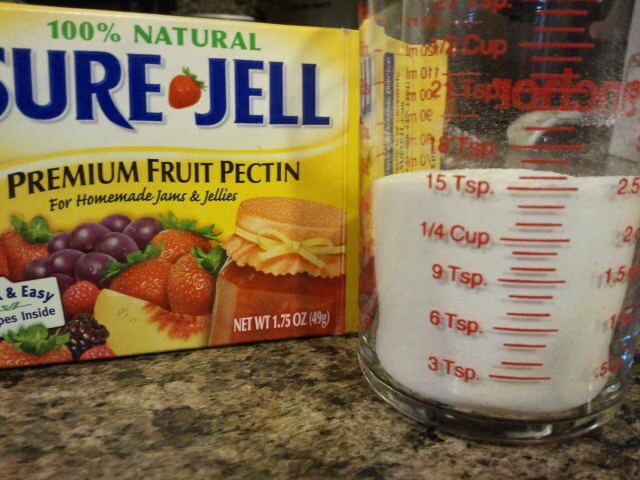 Once it was cooled I mixed in the lemon juice and pectin. Stirring constantly bring to a rolling boil for 1 minute. Remove from heat and pour into two 1/2 pint jars leaving 1/4 inch headspace. (Already sterilized and hot from making cherries.) Process for 10 minutes in hot water bath canner. 15 teaspoons in a full box, that's where the 7 1/2 teaspoons comes from. Just put the rest in a small bag or container for another small batch of jam or jelly. 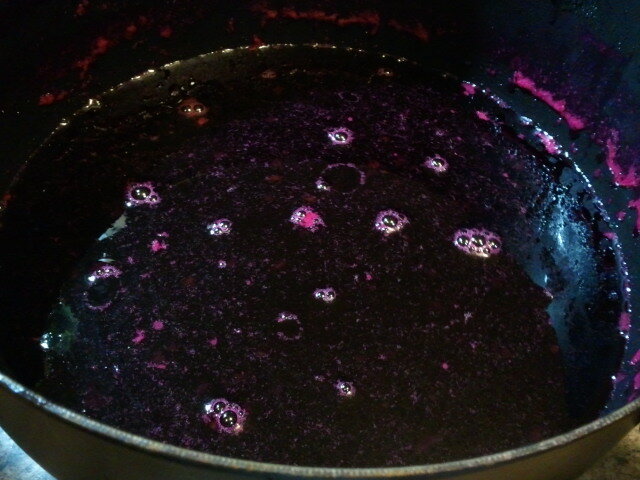 Pectin sprinkled over cooled syrup.